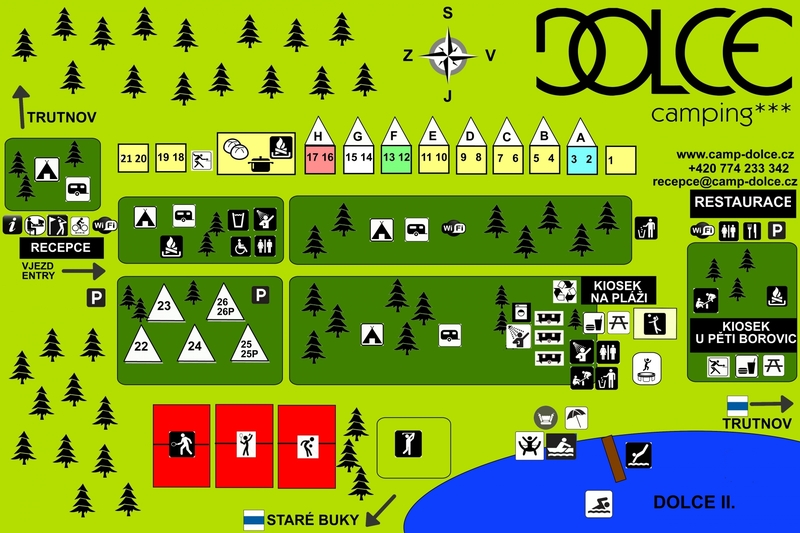 For fans of camping and caravaning, Dolce Camping has large grassy areas with electricity connections. No need of advance booking, you can just arrive and choose your place. Drinking water is available throughout the area. price / day 3. 1. - 20. 6., 1. 9. - 20. 12. 21.6. - 31. 8., 21.12 - 2. 1. - turistický poplatek - 12,- CZK / day - applies to persons 18 - 70 years incl.